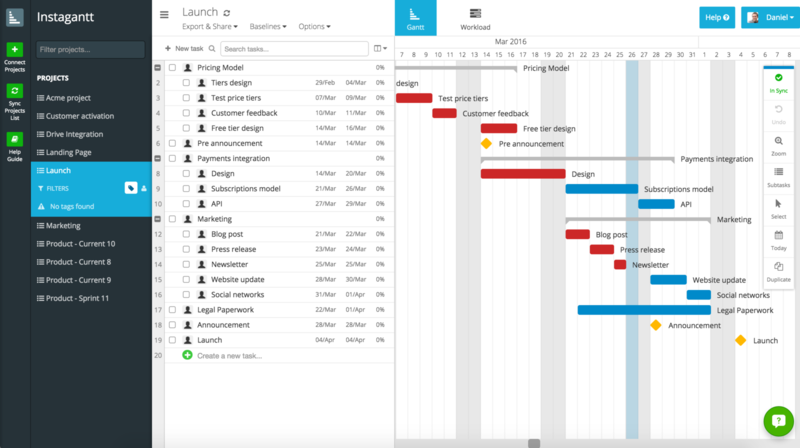 Instagantt is a web app for creating Gantt charts which help you visually plan project schedules with your team. Log in to your Asana account or sign up for free. Sign up for a free Instagantt account with your email address or through Asana using Asana Connect. Select which of your My Tasks lists and projects you’d like to sync with Instagantt. Contact Instagantt Support or learn more about using Instagantt and Asana on the guide.